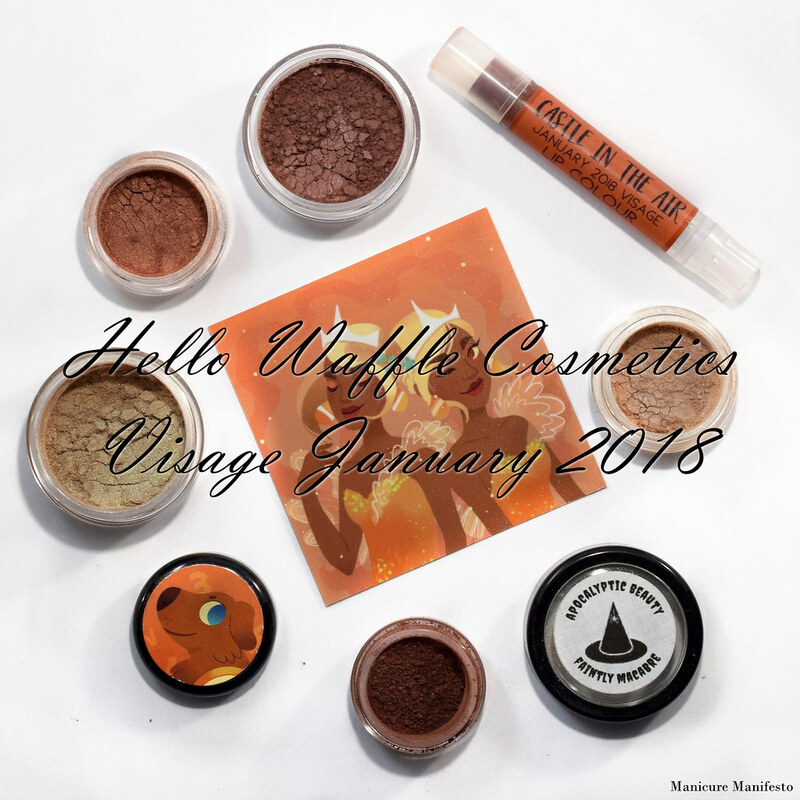 Today I have Hello Waffle Cosmetics' January Visage box to share with you. This month's shades were inspired by The Phantom Tollbooth and features a neutral palette with some surprises. Let's take a look at swatches. Tock Ticks is beautiful pale warm cream colour with a hint of blue sheen. 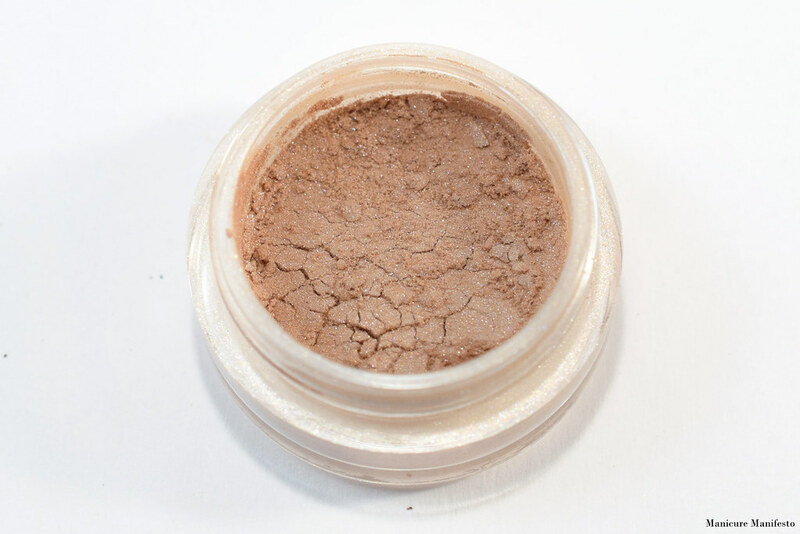 The formula was super pigmented and applied effortlessly. This one is somehow super shiny without being sparkly or glittery. 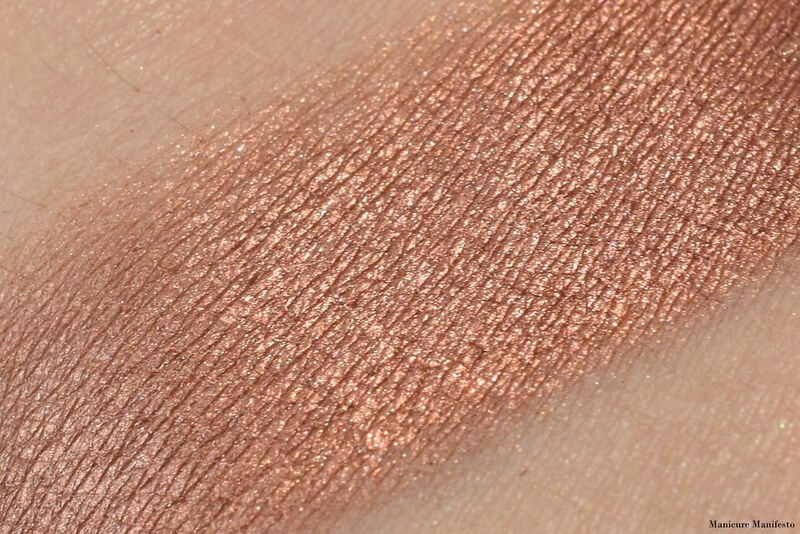 Sunrise Symphony is a deep metallic rose gold. I call this 'deep' because most rose golds tend to be on the lighter side. 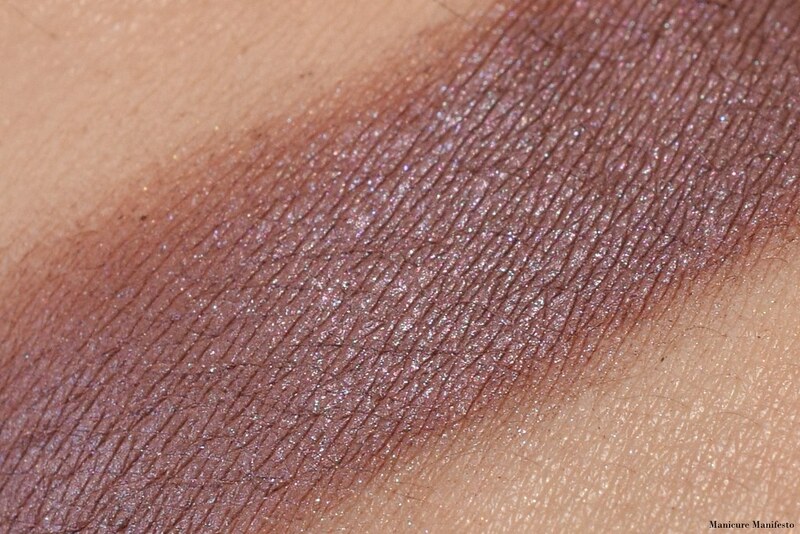 This one surprised me when I swatched it. 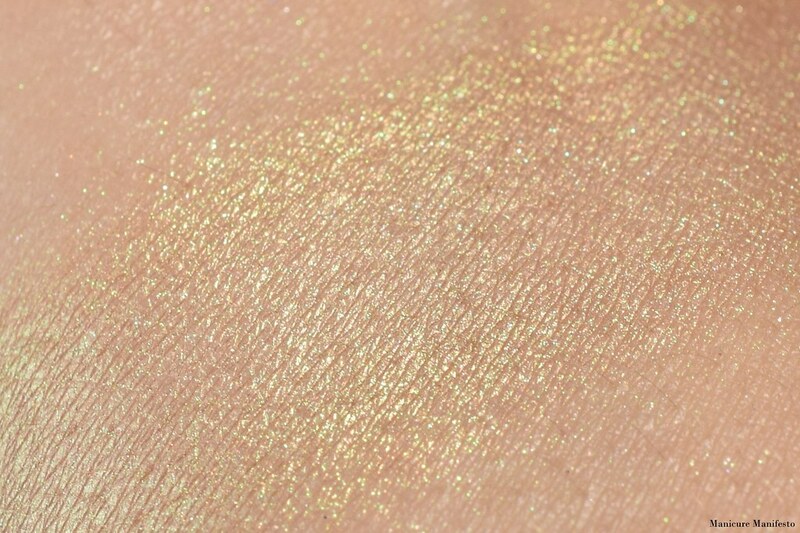 It has such a glowy finish which I just was not expecting based on the jar. 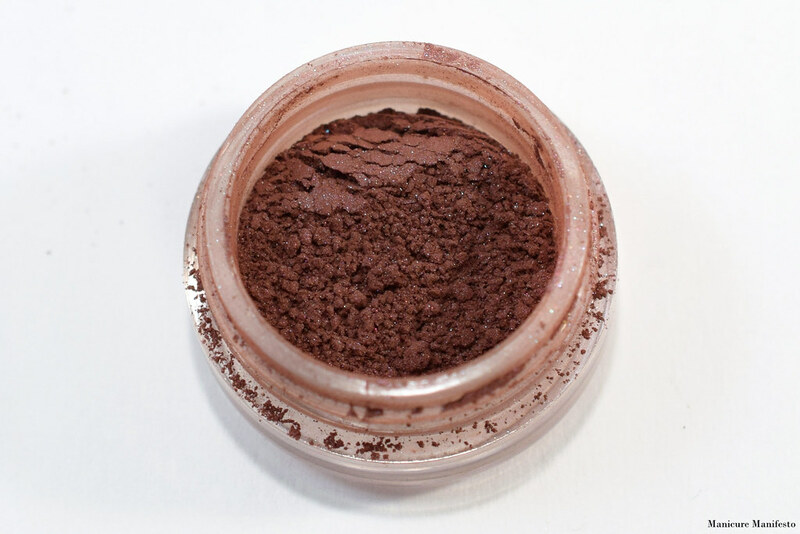 It also has a super pigmented easy to apply formula. Humble Humbug has a red-leaning brown base with a soft blue sheen. 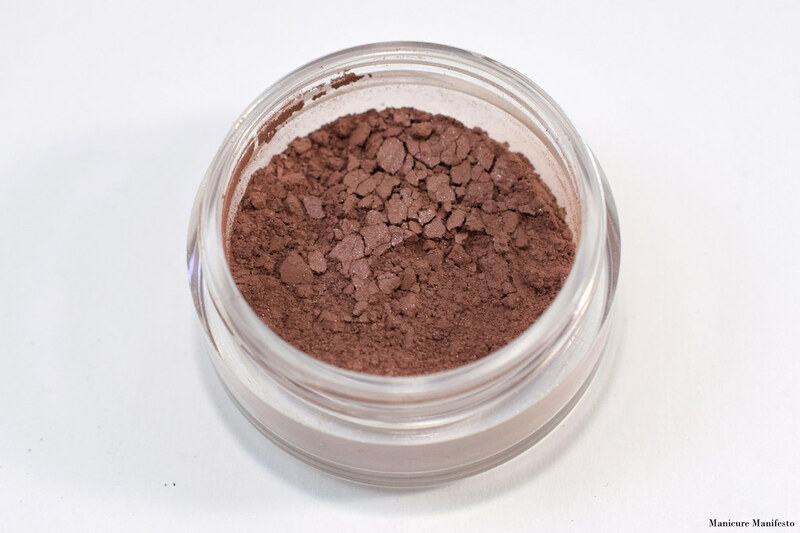 In the jar in looks more chocolate brown but once applied the warm red undertones come out. I do recommend primer with this one if you want the blue sheen to stand out. 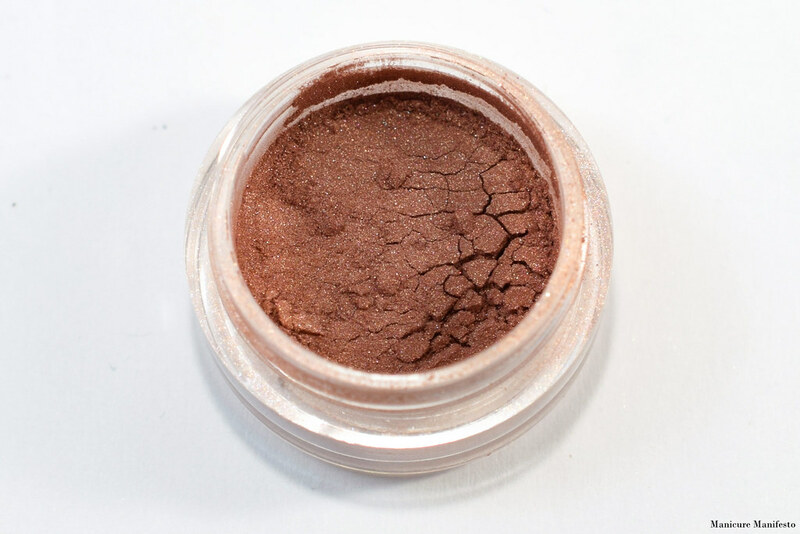 Rhyme and Reason is a deep brown leaning mauve blush with teeny gold sparks. 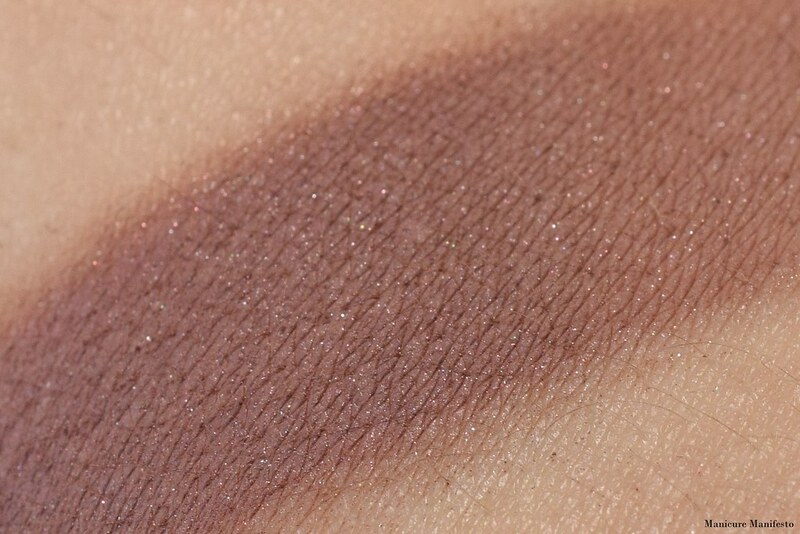 This is very pigmented for a blush, and since it's eye safe, I think you could easily use this as an eyeshadow too. 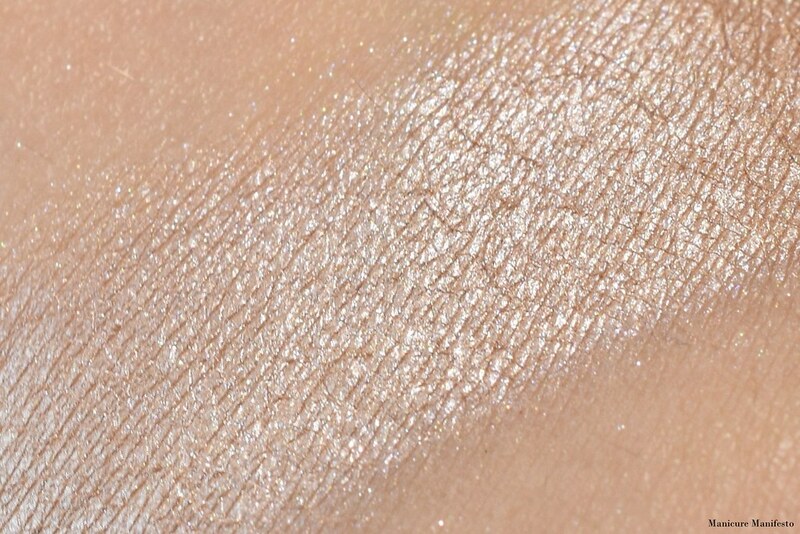 I've swatched it fairly heavily below, you can blend it out more which makes it more wearable as a blush. 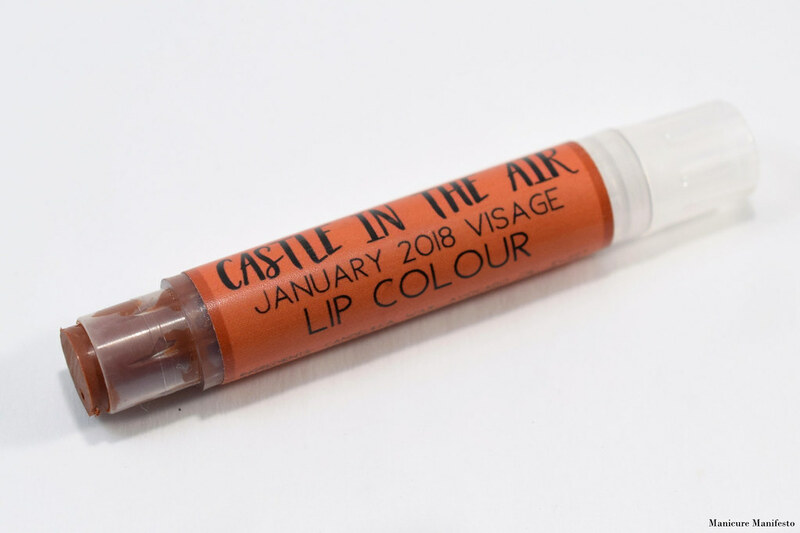 Castle In The Air is described as a warm ruddy rosewood but for me it definitely seems more like a terracotta brown with strong orange undertones. It is fairly sheer and lets my natural lip colour peek through. 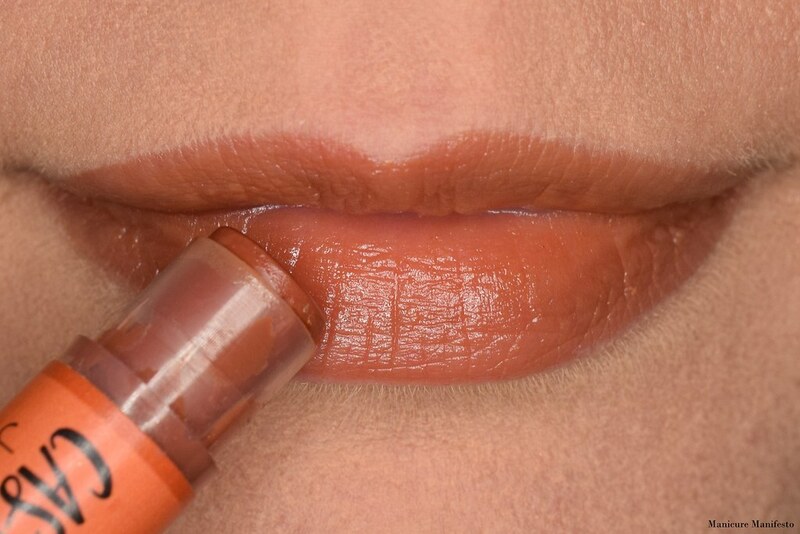 This isn't a great shade for my skintone, but it's sheer enough that I will probably just use it as a lip balm around the house. This month's guest indie is a new-to-me brand, Apocalyptic Beauty. Their contribution is Faintly Macabre, a warm beige higlight with a strong green flash. 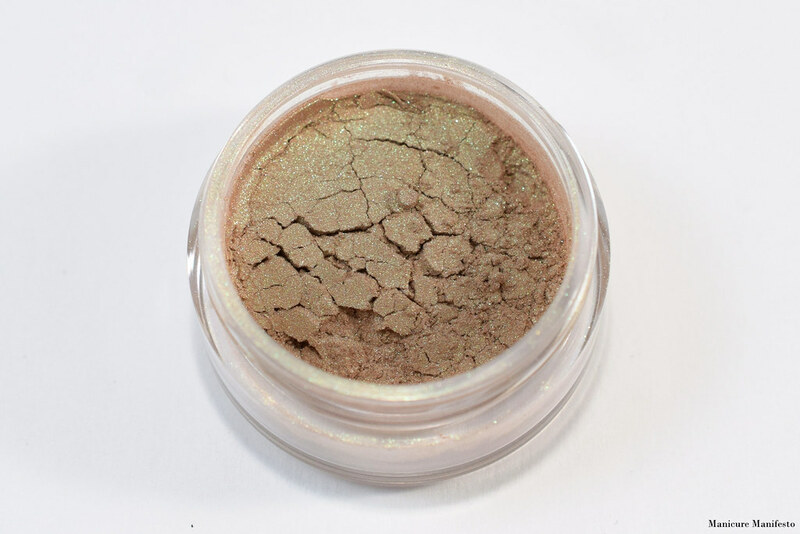 The formula is easy to work and can be built up to get stronger green tones (like in the swatch below) or sheered out.